The transverse arch of the forefoot is passively restored by circular compression, and the neurovascular bundles (every toe is equipped with two neurovascular bundles) squashed by metatarsal capitula II to IV are protected once again by the arch of the metatarsal capitula 1 B. - Cushion-like thickening of the forefoot region with sensitivity to touch and hyperthermia (similar to forefoot arthritis). - Severe forefoot blood flow disorders, e.g. diabetes. - Allergic, inflammatory or lesion-specific skin alterations (e.g. swelling, reddening) of the body areas being trea-ted. - Neurogenically-specific organoleptic and skin trophic disorders in the body area being treated (sensory disor-ders with and without skin damage). - Place your foot on the bandage, as illustrated in Photo 2. - The anatomical run of the stitching and the silver-coloured stripes indicate the direction in which the bandage is to be fitted around the forefoot. - The anatomical stitched shape of the bandage fits the sides of the ball of the big toe perfectly and will not slip. In the further course of events, the inward facing recess indicates the position for fitting to the little toe. - Next fasten the fastener facing the toes and follow by fastening the second Velcro fastener with the requisite compression pressure. - The bandage can be worn on the skin or over a sto-cking. This enables it to be fitted/removed quickly, e.g. when wearing tights. 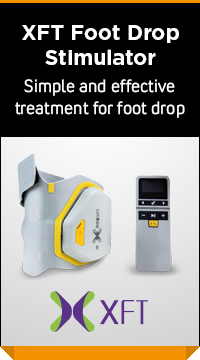 - The bandage can be worn with the insert provided or with a fitted insole, provided this does not cause you any discomfort. You ought to discuss potential reciprocal health risks or other disadvantages with specific treatments that may arise in con nection with the use of the product with the doctor treating you. However, should you have any complaints about our pro¬duct, please get in touch with your stockist or directly with us. We recommend that you wash the splay foot bandage gently in lukewarm water with cold detergent and air-dry (do not place on radiator). Close the Velcro fasteners when washing for them to last longer and stop them damaging other items of clothing. TIP: Slackening tension of the knitted fabric while it is being worn is revived by washing. The bandage should therefore be washed frequently.